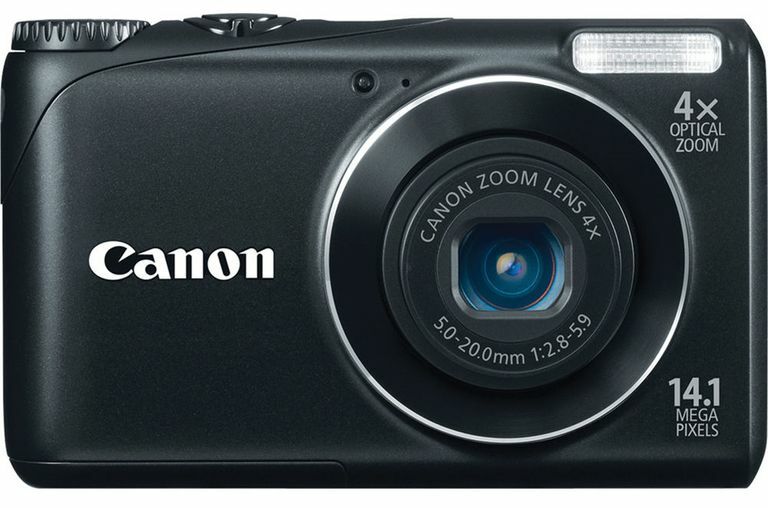 The ​Canon PowerShot A2200 is a budget-priced camera that provides extremely good image quality compared to other sub-$150 cameras. The A2200 is a more consistent performer than most cameras in its price range. It's an extremely thin and lightweight camera, and it's very easy to use. Like most budget-priced models, the A2200 has some drawbacks. The camera's response times when shooting could be better, and it would be nice if the A2200 had more features. Still, this camera's image quality is good enough that the A2200 is able to overcome many of its problems, making it a good value for beginning photographers. NOTE: The Canon A2200 is a bit of an older model, which helps to explain its low price point. If you're seeking one of the best Canon cameras, and you'd like a newer PowerShot model, consider the PowerShot SX610 or the ELPH 360. You'll find very nice image quality with the PowerShot A2200, as the camera creates very sharp images. The A2200's image quality is consistently good, whether you're shooting outdoors in good light or indoors. This camera's small flash unit works surprisingly well, as long as you remain within the flash unit's recommended distance usage range. It would've been good if Canon had given you the option of shooting at a greater variety of resolutions. With the A2200, you have five options -- 14MP, 7MP, 2MP, 0.3MP, and a 10MP setting for widescreen images. Additionally, colors occasionally seem a little dull with the PowerShot A2200. You have the option of using the camera's special effects to create more vivid colors as you shoot. Shot to shot delays are the biggest problem with the PowerShot A2200, as you'll constantly see "busy" displayed on the screen while the camera processes each photo. You'll quickly be tired of the busy message. The camera's autofocus can be a little slow, especially indoors in low light. However, holding down the shutter button halfway to pre-focus on the image does improve the A2200's performance. You'll find the A2200's start-up time to be pretty good for a sub-$150 camera. If you want to shoot video with your budget-priced camera, the PowerShot A2200 isn't the best option, as it doesn't have a dedicated video button. You also cannot use the camera's optical zoom when shooting video. The PowerShot A2200 is extremely lightweight, and it has a very thin design. You easily can hold and operate the A2200 one-handed because it's so small and light. However, one problem with the small camera body is that you can inadvertently block the lens with your left hand while you're holding the camera. Canon included a mode dial on the top of the camera, which is uncommon with budget-priced cameras and which makes the A2200 easy to use. The LCD is a little small at 2.7 inches, but it does remain viewable outdoors in sunlight, as long you have the screen set on the brightest setting. The lens isn't quite as smooth as it could be as it moves through its zoom levels, and you'll hear some slight noise as the lens moves. It's also pretty easy to advance past the limit of the 4X optical zoom lens into the digital zoom range, which is disappointing. The camera has some interesting shooting options, too. Canon included a "discreet" mode with the A2200, which allows you to shoot with no sound and no flash, which is great for certain photography environments, such as concert performances. However, the lens will continue to make some slight noises in discreet mode. Additionally, this camera will shoot automatically any time a smile is detected when you're in "face detection" mode. You also can shoot with a fish-eye effect, which is pretty rare with a point and shoot camera. Finally, the A2200 will show explanations on the screen when you're in "easy" mode, which makes this model very easy to use.